To keep Big Ten Championship hopes alive, Saturday’s showdown in Happy Valley was a must-win for Wisconsin football. 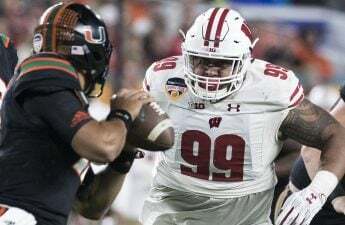 In a game that, before the season began, was circled on calendars across the state, Wisconsin was no longer in contention for the College Football Playoff as many had hoped they would be at this point. 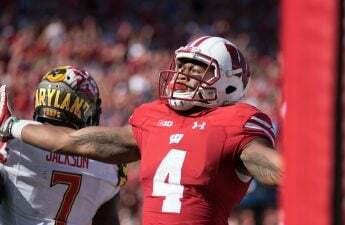 To begin the game, running back Jonathan Taylor broke loose for a 71-yard touchdown run after stellar blocking from the Wisconsin offensive line who effectively shifted blockers, pancaking Penn State linemen, opening the field for Taylor. That would be the lone bright spot for Wisconsin, however, as Penn State would score 16 unanswered en route to a 22–10 win. Sophomore quarterback Jack Coan made his second start of the season with Alex Hornibrook out with a head injury. Coan was under center during Wisconsin’s devastating loss to Northwestern thanks in part to a stagnant and one-dimensional offense — such was the case again at Penn State. While Taylor thrived, Coan struggled. Taylor’s 185 rush yards far outshone Coan’s 62 through the air. A fumble similar to Coan’s against Northwestern made a guest appearance again Saturday — for once Taylor’s ball security wasn’t an issue, but Coan made sure to fill in the gaps. 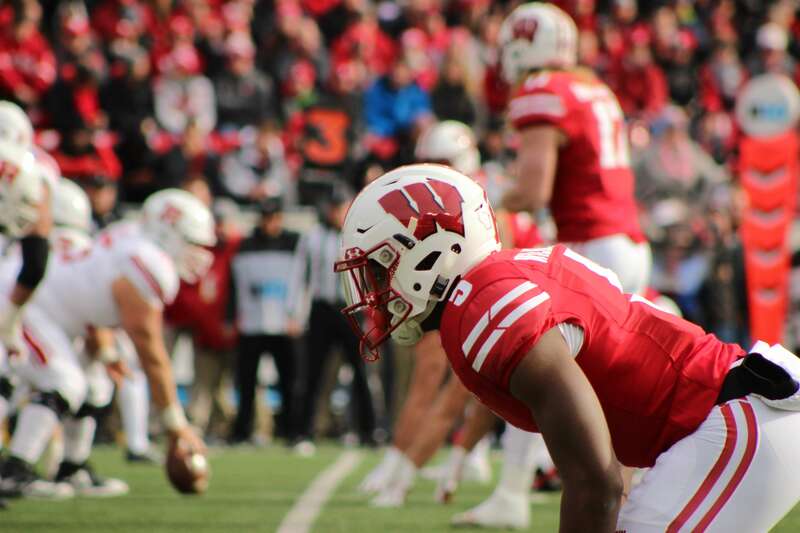 While the offense looked abysmal, the Wisconsin pass rush was at least disruptive. Trace McSorley was sacked three times in the first half, but an again porous Wisconsin secondary yielded chunk play after chunk play, advancing the Nittany Lions with ease. After Wisconsin’s first drive, the team either turned the ball over or punted on the remainder of their first-half drives. At the end of the half, Penn State had run 24 plays in Wisconsin territory — Wisconsin had run one in Penn State territory. Of those 24 plays, three resulted in scores: a 14-yard pass from quarterback Trace McSorley to receiver DeAndre Thompkins, a 49-yard frozen field goal and a 1-yard touchdown run from running back Miles Sanders. Penn State lead 16–7 at the half, out-gaining Wisconsin by 126 yards through the air. Out of the half, it was back to the run for the Wisconsin offense. Symbolic of the Badger season to this point, however, running back Taiwan Deal would break for a 37-yard pickup, injecting some past due energy into the offense, but immediately clutched his hamstring after the run. He’d leave the field under his own power, but yet another crucial offensive piece was lost. Yet Wisconsin still found its way into the red zone and a chance to make this a salvageable game presented itself. Coan would be given a prime opportunity to score, but he drastically under-threw wide receiver A.J. Taylor. Wisconsin would settle for a field goal, and McSorley, who left the game earlier with an apparent knee injury, donned his helmet and trotted onto the field. After a fourth down conversion and a drive that lead Penn State into the red zone yet again, the Nittany Lions would convert a field goal and stretch their lead to nine. Searching for positives became a challenge, but linebacker T.J. Edwards offered up at least a semblance of good feelings. The senior linebacker racked up 14 tackles on the afternoon — he reached 10 tackles midway through the third. On the topic of defense, freshman safety Scott Nelson, whom the Badgers just got back from injury, appeared to re-injure his right leg as he joined Deal in the locker room. At the conclusion of the third quarter, Penn State led 19–10. Wisconsin had run 30 rushing plays compared to only six passing plays to that point. As Penn State again found their way into their new home, commonly called the red zone, the faintest glimmer of hope was decidedly stomped out. 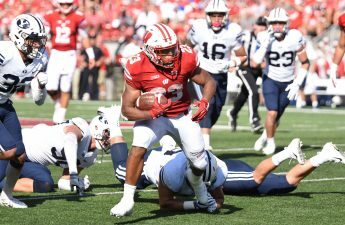 It appeared as though Wisconsin linebacker Andrew Van Ginkel stripped running back Miles Sanders of the ball, but a booth review would reveal otherwise. 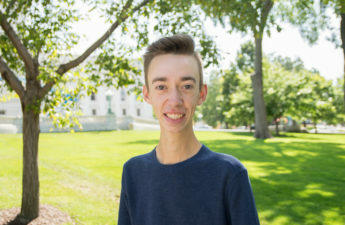 Penn State would convert another field goal, extending their lead to 12 and making a two-score deficit look more than insurmountable by a Wisconsin offense with zero momentum. When Wisconsin finally regained possession, Coan’s tendency to cozy up in the pocket for too long resulted in a painfully easy fumble recovered by Penn State, fumbled by Penn State, and re-recovered by Wisconsin, albeit a few yards behind where they started. The drive would end on a failed fourth down conversion attempt, and the game would follow suit as Penn State closed this one out. Wisconsin travels to West Lafayette, Indiana next week to take on Purdue.